As there are countries, such as the United Kingdom, where there is no governmental licencing of locksmiths, meaning that basically anyone can become a locksmith, it's essential that we make sure, that we find the best possible locksmith service for us. Hereby, we would like to provide you with a few tips in choosing a good locksmith for you. Always check how many and what types of licences should or can a locksmith service have in your country of residence. Although, as you can see there are countries where there is no official licence that's provided for a locksmith, the locksmith still has to have a proper examination and a given amount of experience. Also he should still create a legitimate business which has it's official tax number and business licenses about which you can also collect more information. If you live in an area such as Edinburgh it's always safer to choose a local Edinburgh locksmith company and not a private locksmith. 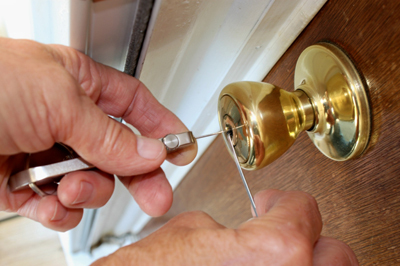 A company has to provide official information, has to go through several inspections in order to prove that they have the proper skills to provide a locksmith service , has the ability to provide you with a correct invoice and also is liable to provide a legitimate and more trusted service. The best possible way to find a trusted and reputable locksmith service is via friends, relatives, colleagues, so all in all by someone you know for a while and whose opinion you can trust. There is no better opinion than the opinion of those you can trust especially if they know what they are talking about. If a locksmith service features others credentials and positive opinion on its website that's already good news. Some larger companies also feature the logos of other larger and better known companies as means of a reference. But be aware that there are companies who will become reference in return for a financial compensation and also that there are logos of companies which are non-existent. All in all, always try to check on references as much as possible. Local businesses are always better because there is much more reference you can collect about them. Of course the locksmith is also aware of that, therefore he will do his very best to provide a good quality business. This is especially true for companies which are in one place for over 3-5 years. The other good thing about them is that they tend to provide a cheaper service than someone who lives further. It's better to stick with a service who has a website no matter how small or simplified it is. Being on the internet is the best interest of any legitimate business, therefore, this can give you a clue on how competitive a locksmith service really is.